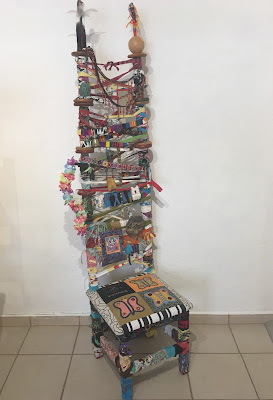 When curator / artist Alberto Lenz approached me about being in an exhibition of artist chairs, I was at once delighted. Eight artists, eight chairs, all chairs being identical at the start, handcrafted by a carpenter hired by Lenz. Even more exciting was the prospect that this would be the first of a few exhibitions with the same type of chairs, by many different artists, in the year to come. I hopped on the bandwagon with a full-on YES. Querying him about where the exhibition would take place, I realized that part of the puzzle had not yet been formulated or formalized. So naturally, I offered him La Huipilista Artspace. It's a perfect place for something out of the normal range of galleries here in San Miguel de Allende, and he immediately agreed. So, here we are, 2 weeks into the exhibition TAKE A CHAIR, and it's a total artistic success. Works by Ri Anderson, Federico Correo, Erica Daborn, Alejandra Mendoza, Gene Johnson and Linda Soberman are accompanied by those of Lenz and yours truly. 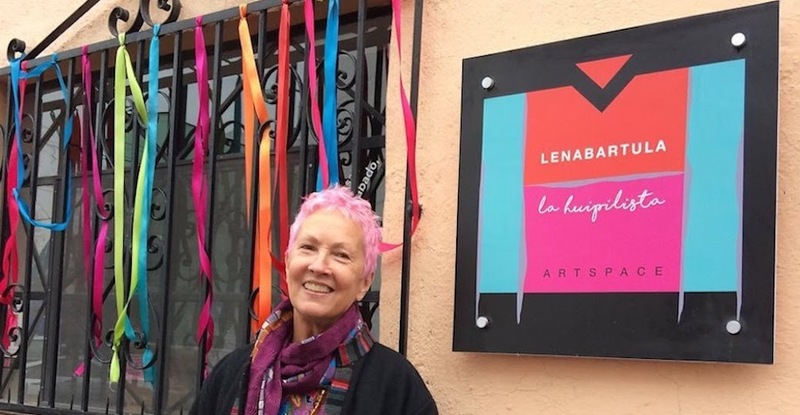 Intriguing and complex, or simple and understated, all are out of the ordinary to the eyes of most gallery visitors in San Miguel, and I am personally excited to be part of a burgeoning scene of inspired and inspiring alternative venues. 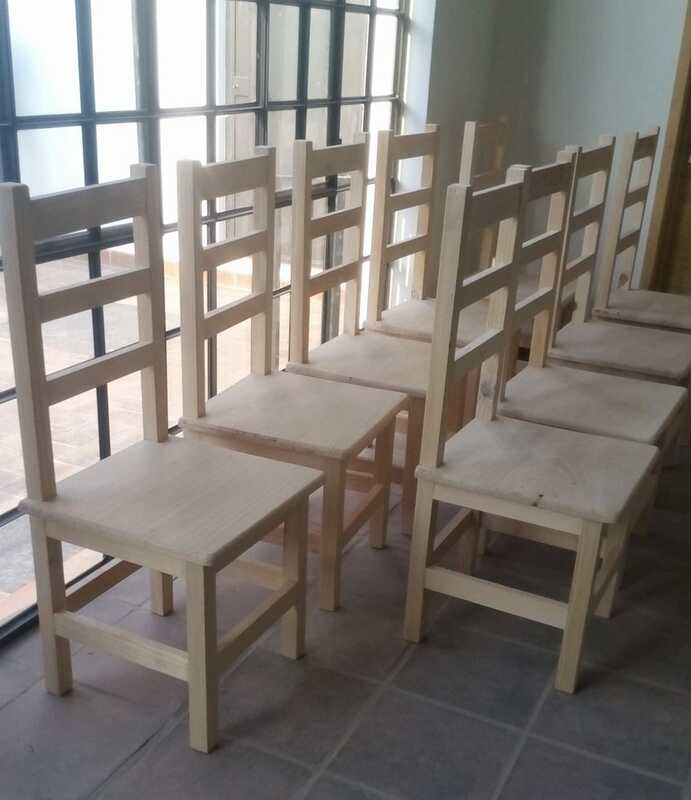 All chairs are for sale, so come for a visit, enjoy the exhibition,and if you like, TAKE A CHAIR home with you. through Saturday, noon to 5 pm.